The RAF Aerobatic Team, The Red Arrows, is one of the world’s premier display teams and will be flying above the Kent County Showground on Friday 10th July. Lucy Hegarty, Show Manager said “We have been hoping to have this world-class attraction at the Show for a number of years but due to many factors we have not had the opportunity. This year we are delighted to announce that the team will be flying their distinctive Hawk jets over the Show. The exciting display of precision flying and agility will be a huge draw for the thousands of visitors, particularly school children who historically attend on the first day”. By the end of the 2014 season The Red Arrows had taken part in 4,660 displays in 56 countries. This statistic covers a period that started in 1965 and millions of people have watched the intricate formations that often involve flying at very close quarters. The Red Arrows’ display is carefully choreographed by the Team Leader and is changed each year. There are three types of display – full, rolling or flat – and Red 1 decides which one to fly at an event depending on the weather. The full display is usually based on a show of just over 20 minutes in duration, featuring a first half of synchronised formation aerobatics followed by a more dynamic second half.  The Kent County Show will release more details nearer the Show.